If anyone has visited a tenth mountain hut designated to a ski trooper - such as Skinner Hut, Uncle Bud's, Sangree M. Froelicher Hut, Harry Gates, or Peter Estin Hut, or if you have driven past Camp Hale, you cannot help but leave with a curiosity for what it was like not only to be a tenth mountain soldier, not only to learn more about the grueling training regiment at Camp Hale, but also the amazing battles they fought in Italy. 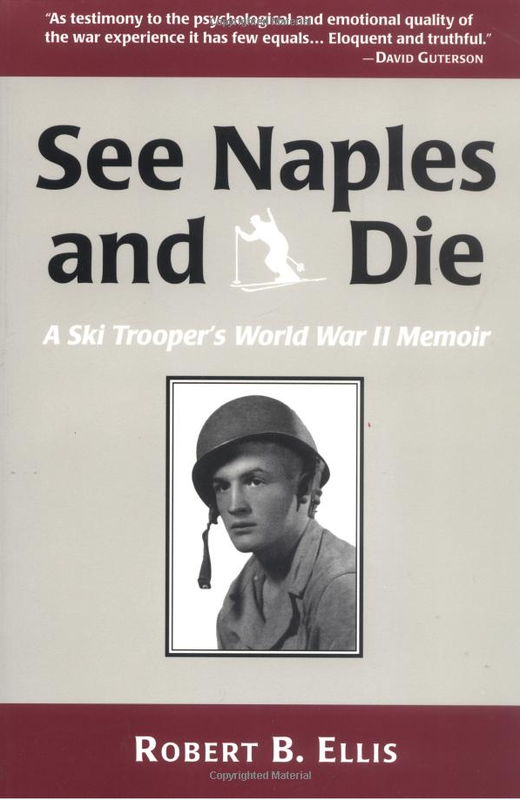 A few huts have a really amazing collection of notes written by the soliders back home, but recently I found the book "See Naples and Die - A Ski Trooper's World War II Memoir" by Robert Ellis on Amazon, and had to read it. The book chronicles Robert Ellis' life from his birth through the end of the second world war. Not much time is devoted to his earliest of life, but it does give good perspective of the life of the young children leading up to the war. It is hard to imagine what it would be like to one day be a college student, and the next being sent off with no goodbye to your family and begin your life as a soldier. The main focus of the book is based on the letters he wrote in his war journal as well as his letters home that his mother saved. The next few chapters talk about his life at camp hale, and what an absolutely horrible place it was to live, and train. From the horrible air and "Pando Cough" because of the coal burning heaters, to the 24 hour marches carrying 90 pound sacks, and the war games around what is now Ski Cooper and Chicago Ridge - his stories tell of what sounded more like a prison. I thought it was interesting to read of the innovations in mountain gear that emerged from Camp Hale, as they brought in the top mountaineers in the United States, as well as those from Europe, to design the tents, sleeping bags, ropes, gear and machinery that the tenth mountain soldiers would use. Some advancements in technology included nylon ropes, "the weasel" which is an ancestor of the snow mobile and down sleeping bags. 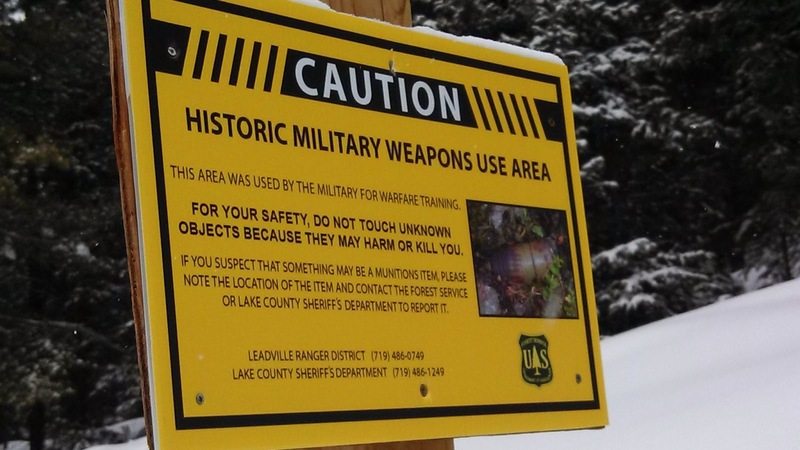 While I am sure there are some Tenth Mountain Soldiers that actually liked the experience, most of the kids wanted to be anywhere other than Camp Hale. One way out was to get into "ASTP" training, which allowed the soldiers to go back to college, in a warm place, with lots of girls. Fortunately for Robert, he was transferred out for a few months, and as he wrote in "Off to Heaven and Back to Hale", those who were transferred back to Camp Hale we often hazed by the soldiers who remained as punishment for leaving. The last chapters of the book are dedicated to the Tenth Mountain Soldiers war experience in Italy. It begins with the chapter named "See Naples and Die", which is a popular statement about Naples. The germans left propaganda leaflets for the soliders as the got off the boat which read "You have heard the saying "See Naples and Die", Well... you've seen Naples. These chapters are an exciting, easy read that really dove into the mindset of being an infantryman for the Tenth Mountain division. These guys really were trained so well that they surprised the Germans with their skills in the mountains, and drove one of the most successful attacks against the Germans in the war. This, of course, comes with a heavy loss of life, and Robert makes it clear not only the fear most soliders (on both sides) felt, but also the absolute luck that anyone who survived had, as there were times you simple had to run for your life and hope you make it - as you watch people around you die. His writings in the war journal is honest and he wrote detailed stories about his life in war. I liked his perspective on how lonely war is, even though you are a few feet away from someone. He talked about not hating the Germans, but hating the bullets flying over his head. They measured success in the amount of land they had taken, and there was clearly a distrust for the army's ability to keep it's word on the battlefield. The stories of taking Mount Belvedere, the fights on Riva Ridge, the battles along the hills leading to the Po Valley, the retreat of the Germans into the Alps, and the final end of the war while he was near Lake Cuomo, are thrilling, and will leave you wondering how anyone could have survived. In retrospect, the tenth mountain soldiers were an amazing bunch who live a short, but brutal life as soldiers. The Germans, after their capture, said they were completely taken by surprise at the skill and ability of the tenth mountain soldiers in the mountains of Italy. In 114 days of war, the tenth mountain division lost 992 men who were killed, and another 4,154 were injured - the greatest total for any army fighting in Italy. The things they saw and witnessed not only at Camp Hale but also in the war are hard to imagine, but Mr. Ellis does a great job of conveying the hell of war, and the training they went through to get it. This is a must read for anyone who has an interest as to why the tenth mountain huts even exist at all. I bought mine on Amazon.